It’s Roll Up the Rim time again across Canada with lovers of Tim Hortons’ popular rewards game flocking to Timmy Ho locations for their daily double double in hopes that their cup might yield exciting wins. But amongst this year’s anticipation is a growing trepidation around a rewards campaign that promotes the purchase of disposable, single-use plastic-lined cups. And with good reason. 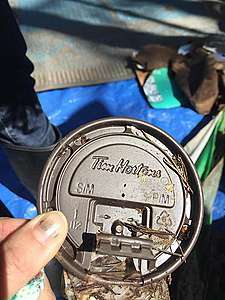 Last October, Tim Hortons coffee cups and lids were some of the top types of plastic garbage that were found during clean-up activities across the country, crowning it the second top polluter in Canada. With a growing number of critics, including students in Calgary who have launched a highly successful petition, it’s a perfect time for Tim Hortons to rethink its approach and Roll Up its Sleeves to start tackling its plastic problem. To date, the company’s response to its pollution smear on Canada’s landscape has been confusing, inadequate and certainly not as satisfying as its baked goods. During the Roll Up the Rim promotional period, hundreds of millions of cups are produced. 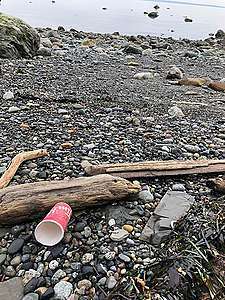 Instead of providing single-use cups, imagine the message it would send if Tim Hortons launched a revamped Roll Up the Rim contest that offered all participating customers a new reusable cup deposit-return program. This time around, the company should at least give bring-your-own-cuppers an extra chance to win. Right now, the company’s app has a Scroll Up the Rim component that is limited, giving very little incentive to BYOC and Scroll away. 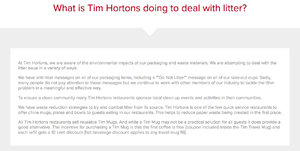 But wait, aren’t Tim Hortons’ coffee cups and lids recyclable? Of course, that’s Timmy’s go-to line. And, yes, in theory, they can be recycled in some places. 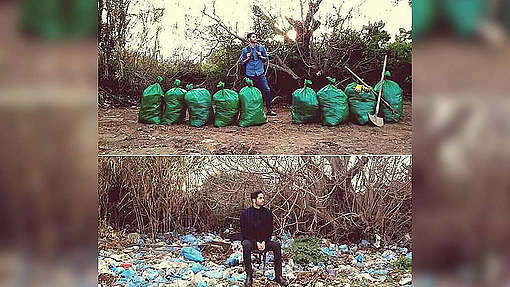 The bigger question is are they actually recycled, and the answer is for the most part…nope. All you need to do is visit a Timmy Ho location or check out a garbage can outside on the street to see the bright red cups and dark brown lids filling the trash cans. Many municipalities, like Toronto, don’t actually accept single-use coffee cups in their blue bins. And then what about those people who bring their own mug? Any big promotions to encourage BYOC? Again, none really to speak of other than a 10 cent discount. 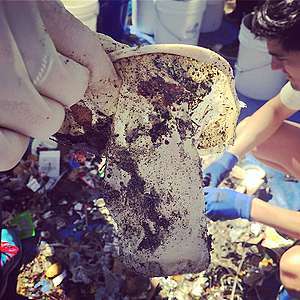 Long story short: they are continuing to put the responsibility for plastic pollution on their customers to not litter, recycle where possible, join them in cleaning up their mess through clean-ups, bring their own mug, or ask for a to-stay mug if eating in. And of course, they are working on an “eco-friendly” lid, which isn’t actually eco-friendly, and they make claims of reconsidering their plastic use but don’t actually provide any details of their plans. What aren’t they doing? 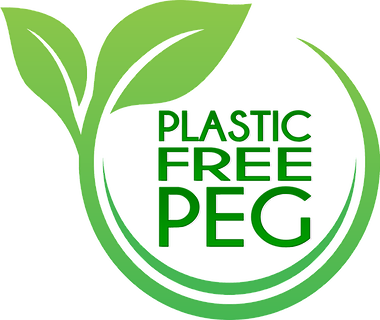 Anything meaningful to reduce the distribution, consumption and pollution of their iconic cups and lids. It’s not acceptable for the company to continue to ignore their role in the plastic waste and pollution crisis across Canada. For years now they’ve dodged and avoided actually addressing the issue and with their iconic cups increasingly becoming a symbol for litter across Canada, you’d think now would be a good time to use their brand loyalty and power for good, rather than literally let it go to waste. Here’s what Tim Hortons could do to help be part of a growing movement of people and businesses striving for a plastic-free future. 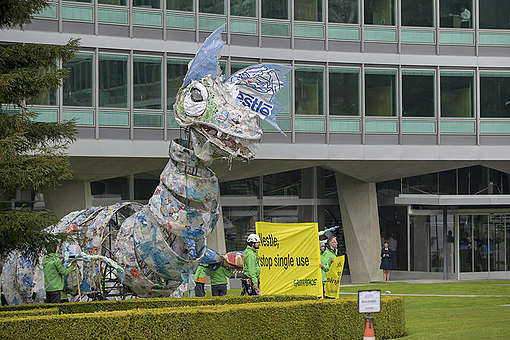 Commit to phase out its single-use products. Beyond its cups and lids, though that’s the place to start, the company needs to overhaul how it is delivering its beverages, food and other products and set real reduction targets asap. Offer reusable take-out cups and containers that are refillable and returnable in lieu of disposable ones. Many customers are daily patrons offering a great opportunity for folks to keep bringing their mug back over and over for reuse. During the transition, require customers eating in the restaurant to use reusable cups, etc. and offer real incentives for customers to bring their own cups and containers. And what about Roll Up the Rim? The company could offer an electronic roll up function at the til, could improve its app to ensure all customers get the same opportunity, and create a special offer for customers bringing their own cups. With billions of coffee cups and other single-use plastic items used every year in Canada, we’re past compostability and recyclability being a viable solution, there is just too much waste being produced. Join thousands of Canadians in urging Tim Hortons and other top plastic polluters to #BreakFreeFromPlastic.